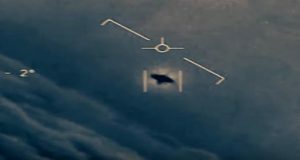 Scanning the skies for extraterrestrial signals is nothing new. The SETI Institute (Search for Extraterrestrial Intelligence) in the United States has been using radio telescopes to listen for ET signals for decades. But a recent budget deficit hampered SETI’s efforts, as operations at their Allen Telescope Array in California were suspended. Fortunately for SETI and other researchers though, the search continues. 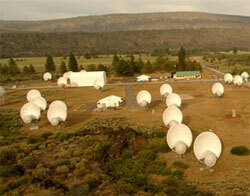 While their Allen Telescope Array is inactive, SETI continues to operate. University of California, Berkeley astronomers recently announced a listening project in progress that involves pointing the Robert C. Byrd Green Bank Telescope in West Virginia at 86 planets that have been selected as worlds most likely to resemble Earth, with the hopes of detecting an alien signal. The data collected from this project will be analyzed by a network of computers running SETI software called the SETI@home project. But search efforts aren’t isolated to the United States. Europe’s Low Frequency Array, or LOFAR, came online last year, and hopes to complement SETI’s search for signs of extraterrestrial life. 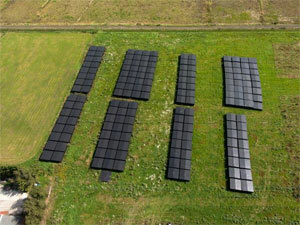 TheWorld.org describes, “LOFAR consists of fields of antennas spread out over five European countries.” And while many radio telescopes scan for signals at higher frequencies, LOFAR is designed to aim at the lower, noisier bands. Astronomers working with LOFAR hope that SETI is able to resume full operations soon, so that a broader spectrum of frequencies is being scanned for that elusive communication from an extraterrestrial civilization. Read more about SETI in the news.